​Our newsletter is published at the beginning of the month. Here are your headlines from the month of July. "I passed my Series 53! 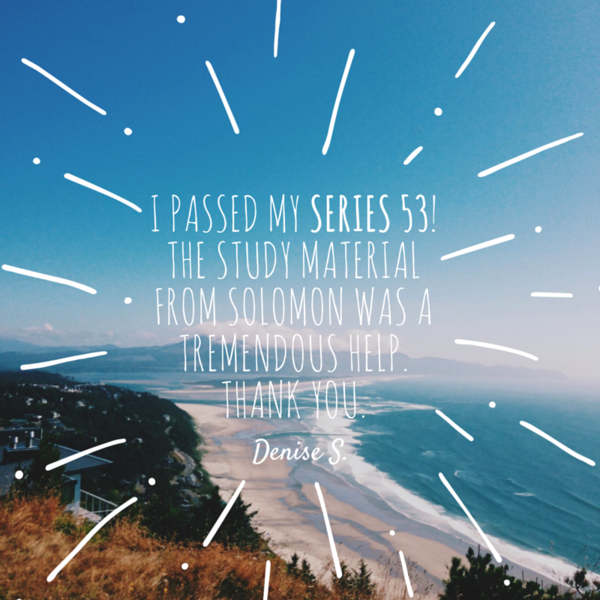 The study material from Solomon was a tremendous help. Thank you." Rationale: According to the Federal Reserve Board's Regulation T, a customer whose account has been frozen as a result of buying and then selling securities in a cash account before paying for them must pay for all securities purchased on the day of the trade until the freeze is lifted. Congratulations Stacy W., this month's Study Question of the Month winner! Effective June 19, 2015 the SEC changed the Regulation A registration exemption for small issues. The change moved from the old standard of $5 million or smaller issues to a new standard of $50 million or smaller issues. In addition, there are two "tiers" for Reg A - offerings up to $20 million are Tier 1, and offerings up to $50 million are Tier 2. One year ago Solomon Exam Prep published study materials for the MSRB exams. Since publication we have been consistently adding to our material, specifically our Online Exam Simulator database. 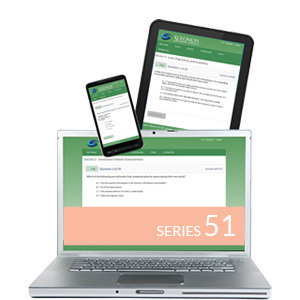 We are proud to announce that our Online Exam Simulator for the Series 51 has now reached over 1,000 test questions! 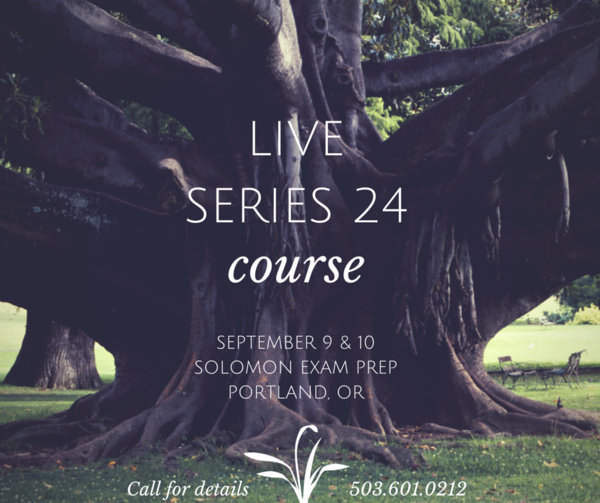 Solomon Exam Prep is excited to announce that we will be hosting a live, in-person Series 24 study course at our office in Portland, OR. Taught by Professor Karen Solomon, this 2-day class will cover the major topics that you will encounter on the FINRA General Principal Qualification Exam. The class will be held September 9 & 10 from 9:00 am - 4:00 pm. If you are interested in attending please call our office at 503.601.0212 for pricing and details. SEC Charges Man With Microcap Fraud Involving Shares of Cynk Technology Corp.
​Can You Pass The Hardest Finance History Quiz Ever?